Slovenia is a gorgeous country and we're so glad it’s being more and more recognised by the world for its beauty. Destination weddings in Slovenia are gaining on popularity and of course the most desirable location is Lake Bled. Lake Bled is like from a fairy tale. An idyllic landscape with mountains in the background, a lake with and island and a church in the middle, a mighty castle overlooking the lake – perfect backdrop for a wedding. Being a wedding photographer in Lake Bled can be a challenge, since it’s really touristy and crowded, but we’re impressed by its beauty over and over. Kelly and Joseph are passionate about travel and adventure and when they came across Slovenia, they knew it’s going to be their wedding destination. 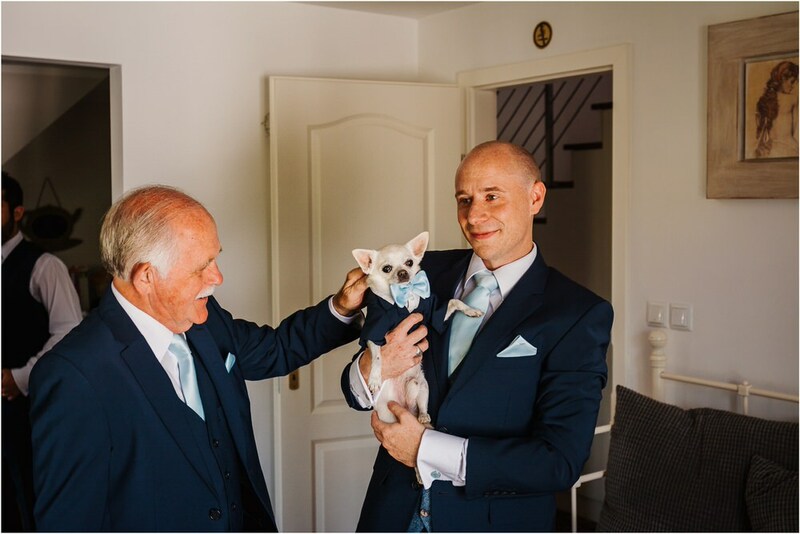 They brought their families and dearest along, and also three special guests – their Chihuahuas. 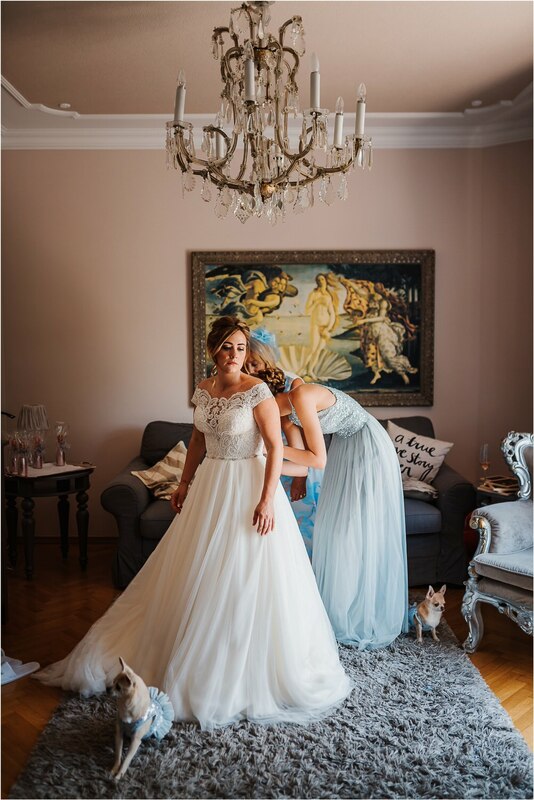 Our day started with getting ready at Villa Istra. Kelly and Joseph prepared so many personalised adventure and travel themed details. Afterwards, we took the pletna boats to the island where Kelly’s dad waited for her and took her to the altar. 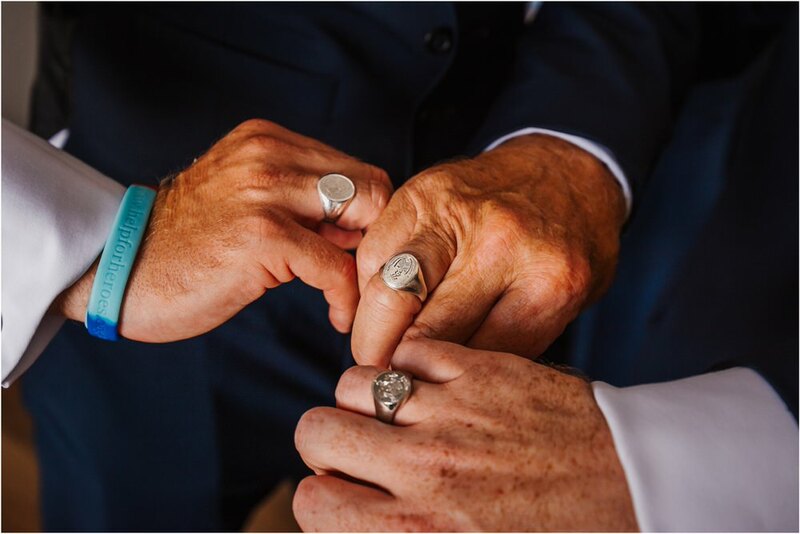 A beautiful church ceremony followed and it ended with ringing the wishing bell. The famous Slovenian potica cake in different flavours waited for the guests outside and also a special treat – ice cream. It was probably the hottest day of the summer and a cold scoop of ice cream was the perfect way to cool down. While the guests enjoyed the shade and the snacks, we took a walk around the island to take some photos. Then we took the boats back to the shore where Joseph tried paddling a smaller boat himself. A horse carriage waited for us at Vila Bled and took us up to the majestic castle. Kelly and Joseph really wanted an outdoor wedding reception and the Bled Castle delivered a magic atmosphere. They’ve been on so many travels and adventures together, but the best is yet to come! 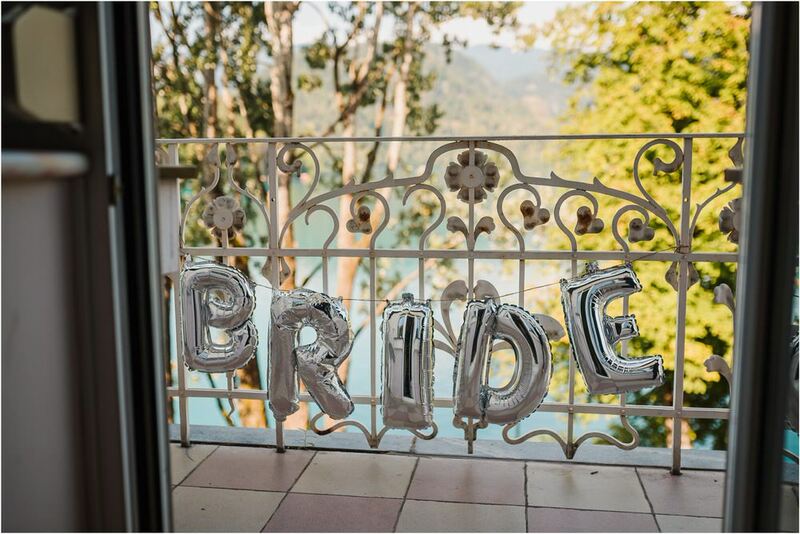 Thank you for choosing us as your Lake Bled Wedding photographers.